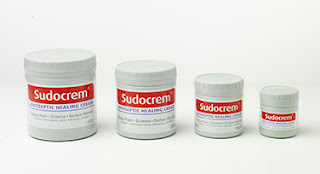 I noticed a post today on Reddit about Sudocrem. Sudocrem 1931 invented by Dublin pharmacist Thomas Smith. Sure where would we be without it? Every tub of Sudocrem sold worldwide is still made in Baldoyle. Well holy god! Isn't that great! 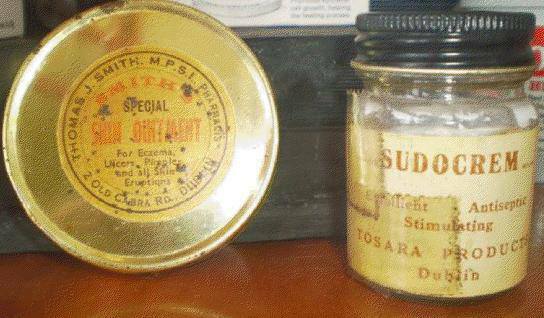 That little grey tub that works wonders on nappy rash and is the leading baby cream in both Ireland and the UK was an Irish invention. I wonder if they sell it here in Sweden? I quick search on Apoteket.se for blöjeksem and blöjutslag shows 3 products available for that purpose. None of them Sudocrem. Inotyol and Bepanthen seem to be the two favourites talking to a few people and looking at some of the forums. I put the price per 400g for a reason. The big 400g tub of Sudocrem on Boots.co.uk is currently £6.25 or about 64kr. Go back and look at the price per 400g for the options available here in Sweden. Now imagine paying over 10 times the price of Sudocrem for something you're going to rub on the arse of a baby.